I ran the Chicago marathon in October 2013. It was a race to remember for many reasons, but most memorable was the fact that I ran with my sister and brother (my cousin came too but sadly couldn’t run due to an injury). My parents also came to watch the race, and we had a fantastic time together in the Windy City. There are so many things to say about the race, one of the largest races in the country, but I will narrow it down to two quick lists of what did and didn’t work. 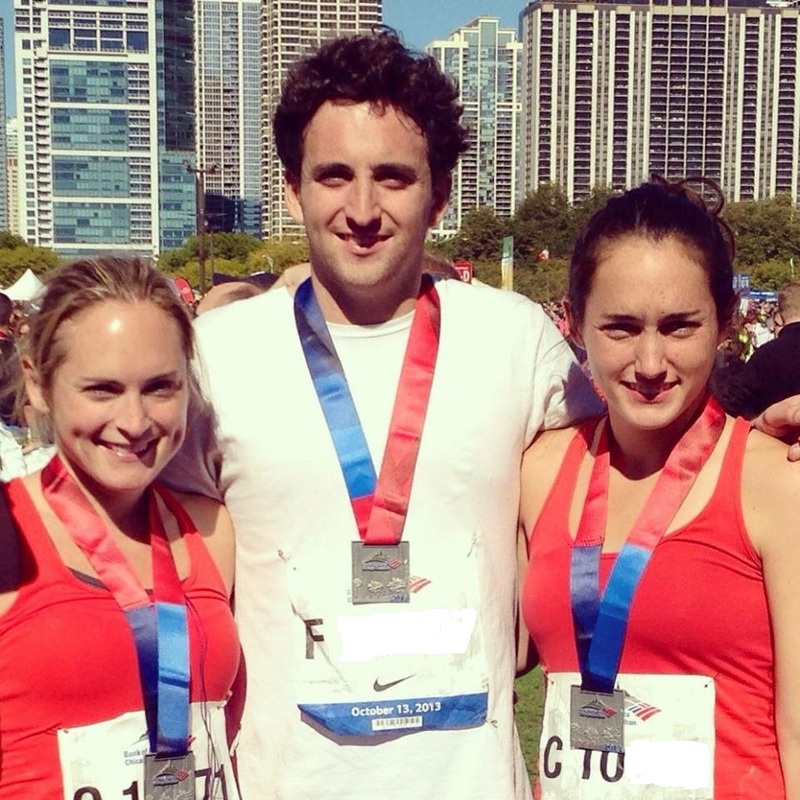 Chicago was my 7th marathon, but I still learned a lot from the race. Not following the #1 running rule of thumb of not going out too fast in the first half. I had not trained adequately for this race (skimping on the long runs, no speed work), so thinking that I could pick up and run 8 minute miles was not a reality that would last for long. I bonked somewhere between mile 16 and 18- not ideal! As I mentioned above, not training adequately for this race. In 2013, I pulled away from having a focus on running and training for races for many reasons, and this resulted in some slower marathon times, including Chicago. It is what it is- you get what you put into it. I am not disappointed by this span of slower races- I was happy to even finish them! Running was there for me when I wanted to get back into being in better shape/work hard in training. I went out too fast, and I think this is why I tweaked my left hamstring at mile 20. So I had to walk the last 6.2 miles, but I was determined to finish. My second half was two hours longer than my first half! The weather in Chicago was on the warm side for this marathon- the race started in the high 50s and jumped into the mid-to-high 60s towards the end. My ideal running weather is in the 40s and 50s (this is proven to be ideal for most runners- read here), so this was a bit warm for me. The weather factor was unavoidable, but just added to the difficulty of this marathon. 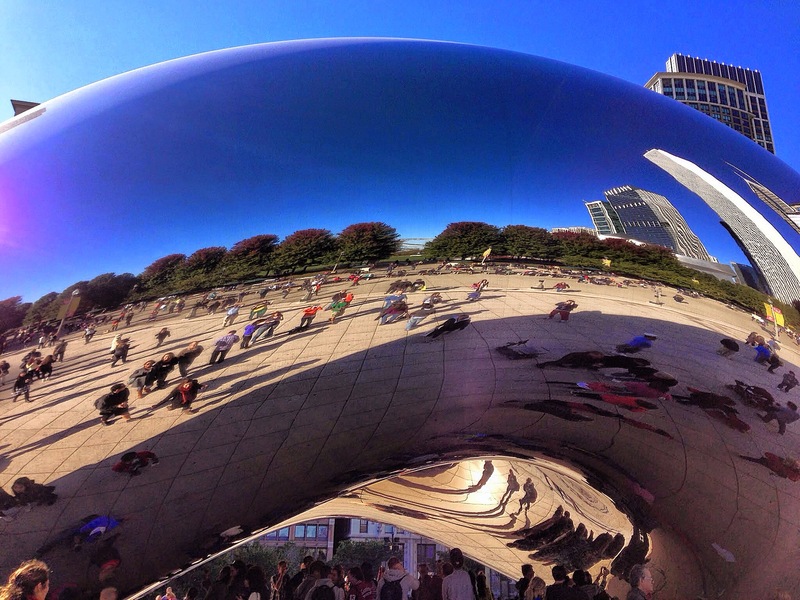 The Chicago bean (cloud gate)! Can you spot me? Chicago really does live up to expectations of being a flat, fun, memorable race. It is very well organized, with so much spectator support. My parents said that it was very easy to get around and watch us at several different locations, so a great race for spectators! Given the popularity and size of the race, the course tends to be crowded, but I felt that there was a good flow going with my corral. All water stations were well-supported with volunteers so there wasn’t much traffic there either. 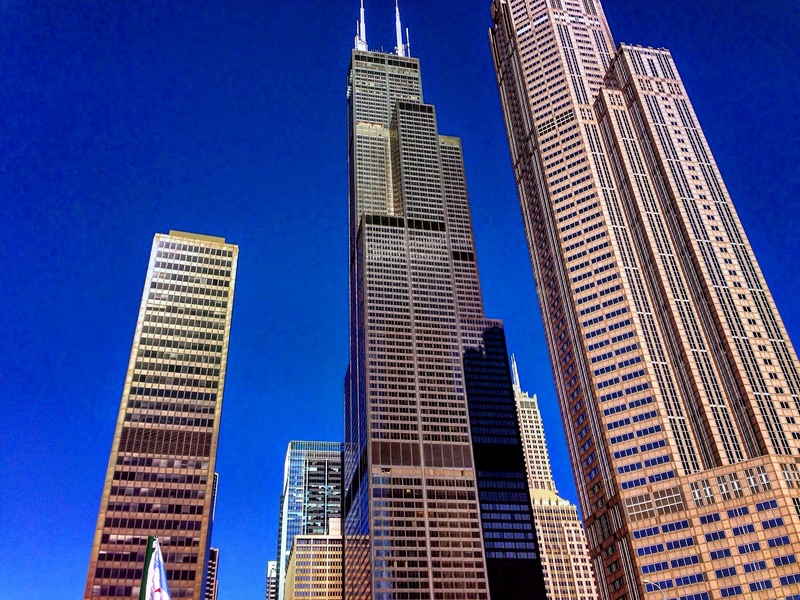 Chicago is an amazing city (I don’t have to sell you on that! )- beautiful buildings, great restaurants and bars, and great people. It was a welcoming city to spend a weekend and run a marathon. Staying in the downtown area made getting to and from the start and finish line very convenient for my siblings and me. I would highly recommend staying on Magnificent Mile. I really want to run this race again one day, after training sufficiently. It is certainly a race to run a PR- and if not, you’ll still have a wonderful time in the city! Just found your blog…very nice site with some great articles and pictures. My wife and I love to incorporate racing with travelling as well and each have our own sites dedicated to mostly running. I ran Chicago just a few weeks ago and we had a fabulous trip exploring the city and taking in the big race atmosphere…a PR and making my sub-4 hour goal by 5 seconds helped! We have a lot of travel/race plans in our future…I have a (very) long term goal to run a marathon in every state, hence the title of my site, with my wife running the half distance when they are available – we have a long way to go though! Look forward to following your site and journey, and feel free to stop my site too when you get a minute. Cheers! James. Hi James, thanks for your note! Chicago was a memorable race, congrats on a great finish! I wasn’t as lucky but learned a lot from the experience. Running 50 states is a tremendous goal- best of luck! I am thinking about doing the same, although it would be a life-long goal- nothing that I would complete any time soon. Happy running! Great recap! I agree to so many things here. Thank you Cathy!! Any more marathons for you? In the lottery pool for Berlin 2016 and already confirmed for NYC for next year. No more for this year since my knee gave out at mile 23 from this year’s NYC Marathon (recap to come). Hope you got in to Berlin! I’ve run Chicago two years in a row now, and love, love, love it! You must return and give it another go. I think I will! If only I can get in! Lottery is tight- but worth a try. Are you thinking of running it again? I think I would run Chicago every year if I could. Love it that much. I’ve gotten through the lottery two years in a row (the only two times I’ve entered). Would go back again in a heart beat. Loved the article. It would be so awesome to run Chicago one day and this is one of the races on my bucket list. Unique question; Did you check out Goose Islands booth and did you by chance buy a bottle opener? I did not! Why do you ask? Next Next post: Almost the weekend and marathon training begins!